Participants in Lagos, Nigeria during a Good Works project. Do you want to connect to brethren in other countries and establish new friendships and have an experience of a lifetime? Then consider volunteering for one of the Good Works projects. The first of the volunteer opportunity will take place in Mirebalais, Haiti, in two sessions. The first session will run from June 23-July 14, 2019. The second session will be held from July 14-Aug. 4, 2019. The goal of this project is to provide an intensive six-week course in English and computer skills for Haitians. Each team of volunteers will spend three weeks working with a certified ESL teacher. It will take place in the local church hall and learning center currently under construction. We are seeking a total of eight volunteers (four per session). Proficiency in French Creole is helpful, but not required. Participants must be spiritually grounded, willing to work in difficult circumstances and able to adapt in the face of hardship. 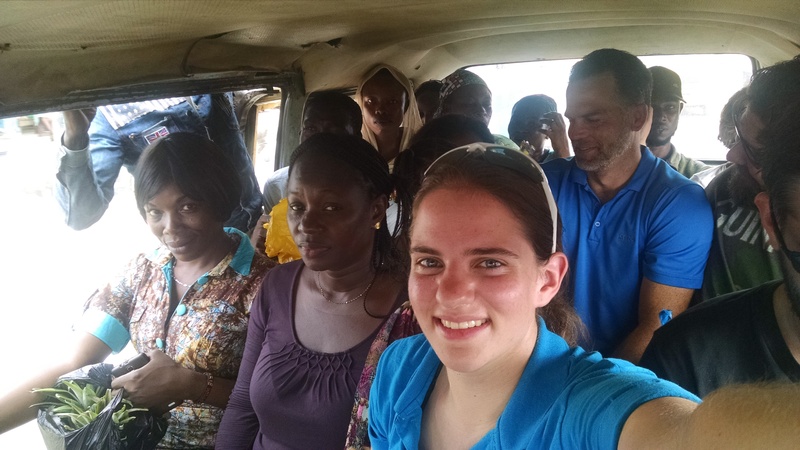 The next volunteer opportunity will take place in Accra, Ghana from Aug. 11-18, 2019. Travel time and minor sightseeing before and after camp will add approximately five days to the visit. We are seeking four volunteers, two men and two women, to serve as staff members at the United Youth Camp. These must be spiritually focused individuals who display Christian living and leadership principles, both by word and example. These participants must have a good grasp on what creating “The Zone” for godly growth is all about. They will be responsible for organizing and implementing camper activities, which will provide a skillset or specific lesson to be learned. These volunteers must be patient, self-motivated and hard-working. They must work well with others in a team setting and be able to endure minor hardships without complaint. Participants must be in relatively good health. The third volunteer opportunity will take place in French West Africa, offering volunteers the opportunity to serve at the youth summer camp in Abidjan, Côte d’Ivoire. The project will run from July 4-29, starting with a two-week training and language immersion period taking place in Bordeaux, France, followed by the week-long camp in Abidjan, Côte d’Ivoire. The program will provide Church youth in the region with new classes designed to help them develop various practical life skills, bond and learn through strategic team-building activities and serve others through service projects, all while incorporating the relevance of God, His way and His plan for them. Potential courses include swimming, computer instruction, life skills (writing applications, interviewing and public speaking), as well as Compass Check/Christian living classes. Participants will need to complete a French language placement test (the DALF) and receive an A2 level or higher in order to demonstrate sufficient French language skills to participate effectively in the program. Participants must be spiritually grounded, willing to work in difficult circumstances, and able to adapt in the face of hardship. Costs to volunteers will vary based on location. To learn more, to donate to a project or to fill out an application, please visit www.ucg.org/members/outreach/good-works.